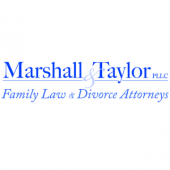 Divorcing couples have a good deal of freedom to determine their own custody and visitation schedules in North Carolina. If you are concerned about protecting your parental rights while negotiating a custody arrangement, contact Raleigh joint custody lawyers [firm-name] at 919-833-1040. Raleigh joint custody lawyer of [firm-name] can help you work towards a fair child custody arrangement. Contact our offices today at 919-833-1040.